Casting all day and not catching anything can be pretty frustrating, especially if you feel like your making all the right presentations and fishing in all the right places. 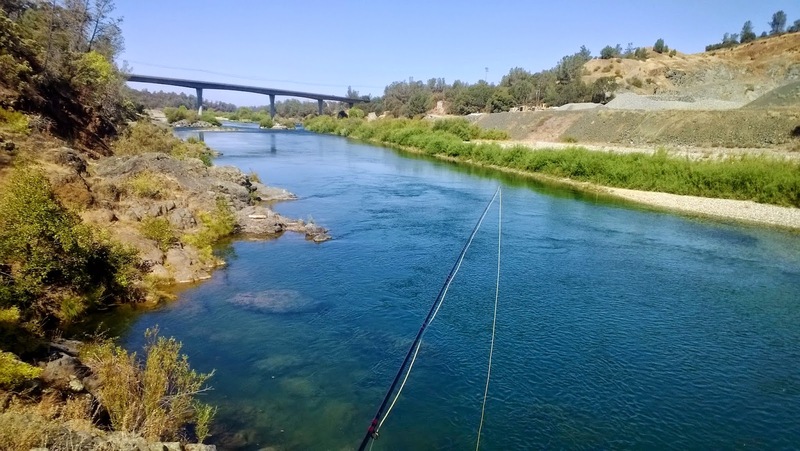 The Lower Yuba River thins out the casual anglers versus anglers that are willing to cover water all day risking a day without a single take. This river will make you drop your rod and ask yourself what am I doing wrong? Am I using the right fly? Are there even fish here? That was the perfect drift! And with a few curse words finally come the words. I'm done. Keep your confidence up and enjoy the scenery because the fishing will be difficult. I arrived at the river around 730am and while I was gearing up an older gentleman came up to me and told me that he and his party were fishing the Yuba for the first time and wanted to know where he could wade and what he could use. I gave him some general advice but kept the locations, flies, and techniques to myself. I figured they could learn better that way. The difficulty and frustration of the river is what makes it fun plus I'd have a place to guide friends or keep to myself. The flows are at 1200 CFS which makes certain areas of the river crossable. I fished these areas with little luck missing two takes by setting the hook too early. Later in the day I hooked and landed four bows on nymphs. I forgot my landing net at home so I wasn't able to take pictures of all of them. In the afternoon I fished a hopper down riffles but no one was interested. 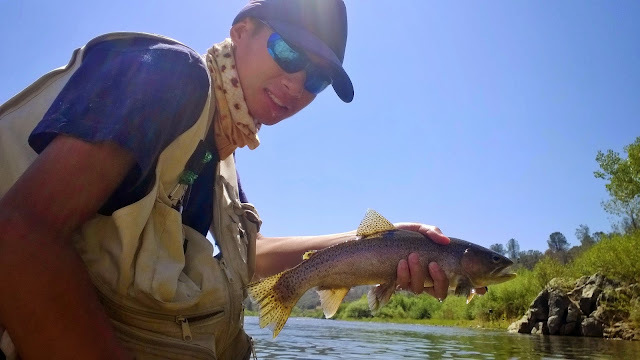 The fishing is still slow and you will only catch fish if you cover water. The section above the bridge where I was fishing will be closed for the salmon until December so that will give me a chance to explore the river downstream. 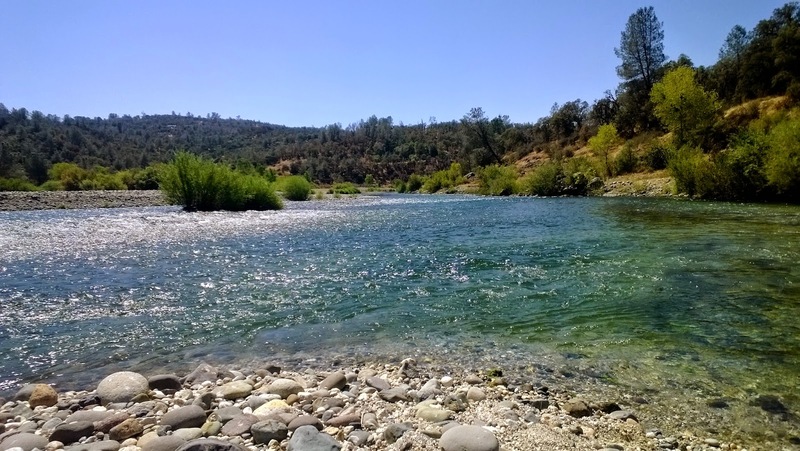 I am looking forward to discovering new water on the mighty Yuba. I have only fished the Yuba once and it was a hard one. Good ob on the rainbows though! !